Are you looking for a really unique and interesting fancy dress costume that'll have you standing out from the crowd? 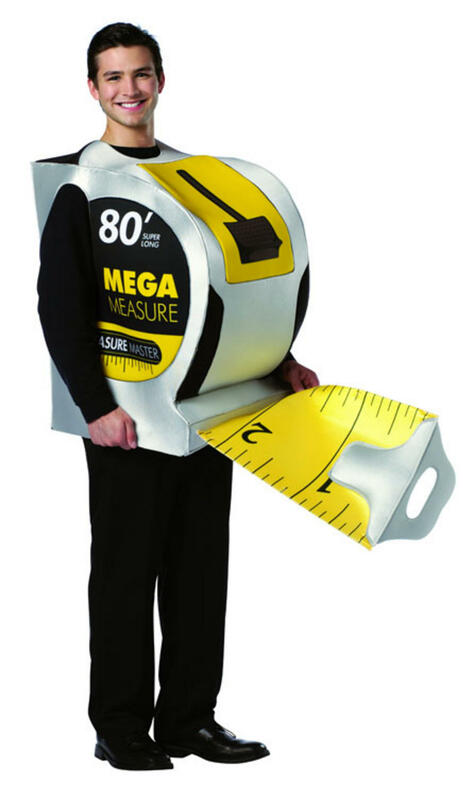 Well try this Tape Measure Costume! Included is a one piece jumpsuit styled to look like a tape measure with an attached piece of tape protruding from the front. A unique costume that's sure to have your friends in hysterics at any fancy dress party. One piece tape measure jumpsuit.